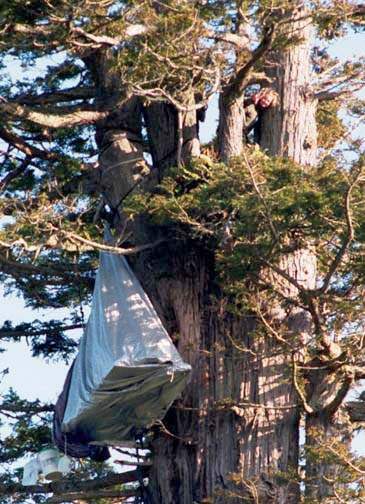 Activists occupy old growth while Pacific Lumber liqudates Northern California's coastal temperate rainforest. 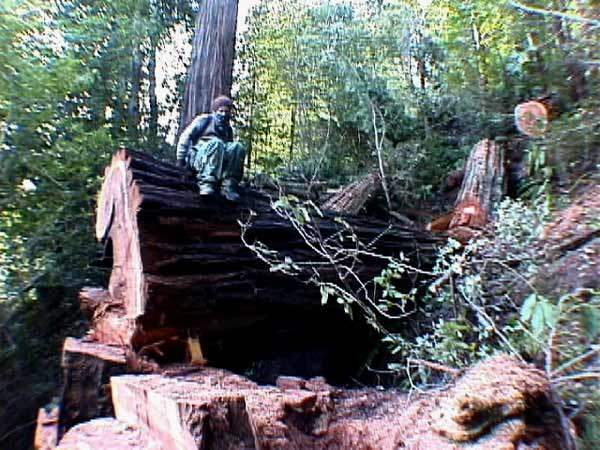 Tree-sits have been ongoing in Humboldt County as Pacific Lumber, owned by Charles Hurwitz and Maxxam Corp. of Houston, continues their relentless assault on the last, best unprotected old growth forests. Faced with lawsuits charging years of unlawful behaviour, Pacific Lumber company has been furiously liquidating old growth redwoods in Grizzly Creek, Nanning Creek and old growth Douglas Fir on Rainbow Ridge in the Mattole Watershed. The Corporate bought-off/appointed government agencies in Sacramento (CDF & DFG) continues to rubber stamp timber harvest plans and "release" endangered species habitat (Type "E") for the company to destroy. 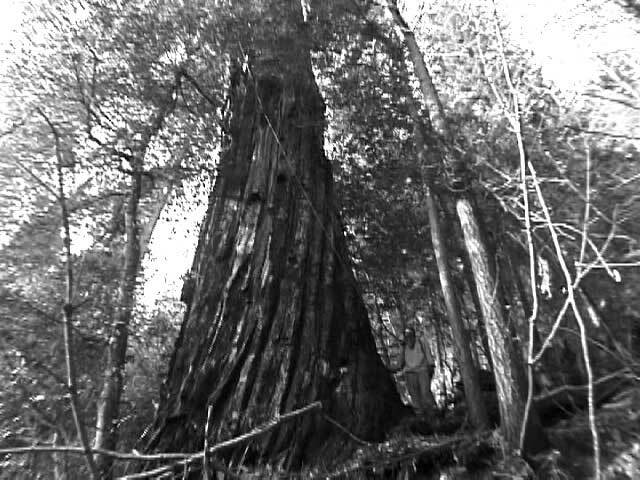 This giant redwood, named Zen was first occupied by tree-sitters last spring, but was then temporarily safe from April - Sept, during nesting Season for the Marbled Murrelet. Once the nesting season ended, Dept of Fish & Game said it was fine to go in and liquidate this rare and endangered habitat. 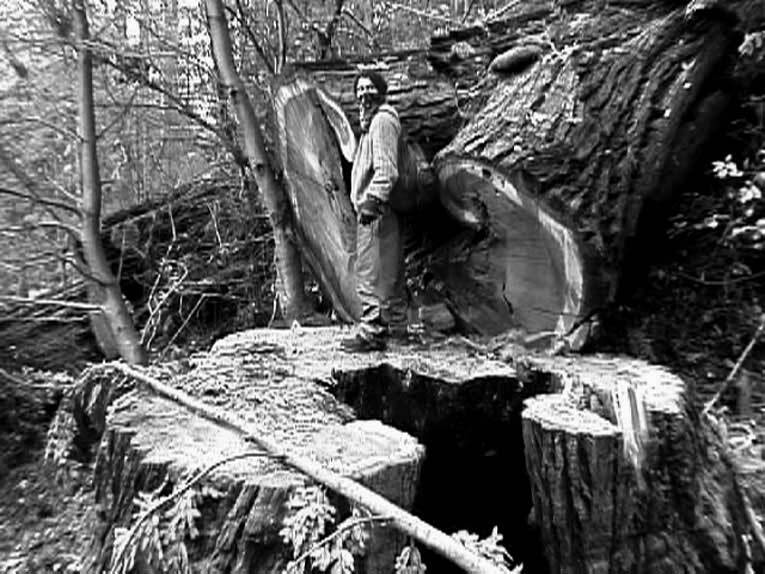 Tree-sitters have re-occupied Zen and another large redwood next to it, but many large trees around it were cut down last week, and the logging is ongoing. Unfortunately it's not possible to have sitters in every tree, at least not with the limited resources and limited volunteer activists needed. Ground support and donations are desperately needed for the Tree-sits that remain. In Freshwater CA (near Arcata), Remedy has been sitting in this redwood named Jerry for over 8 months, non-stop. There are several other tree-sits in her vicinity, including Wren who has sat for over 6 months non-stop in a tree next door.